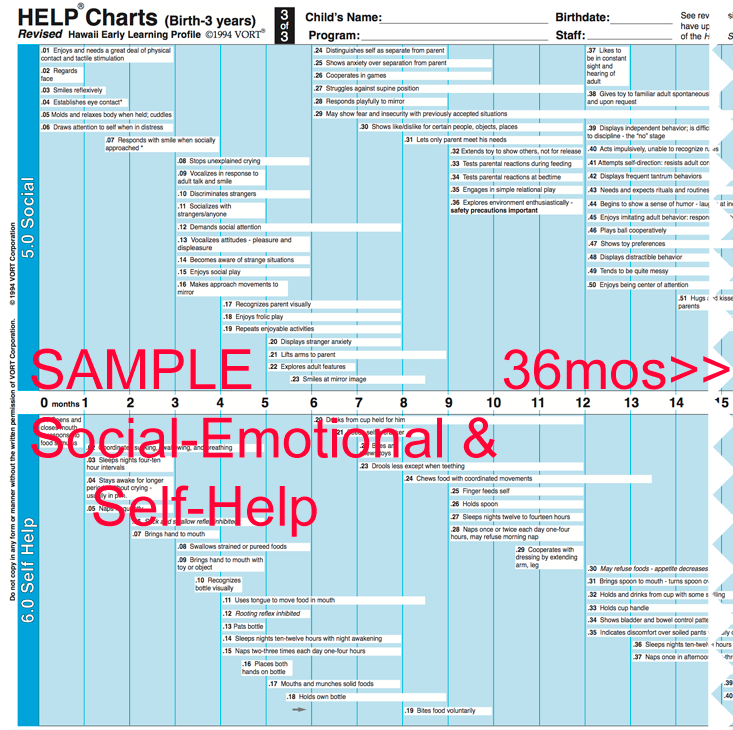 The HELP Charts 0-3 come as a set of 3 unique sheets that display the 685 HELP 0-3 skills as a continuum of six developmental domains (Cognitive, Language, Gross Motor, Fine Motor, Social, and Self-Help). Each sheet covers two of the six domains. This user-friendly format makes it easy to chart and track developmental progress, review mastery, and share with parents. 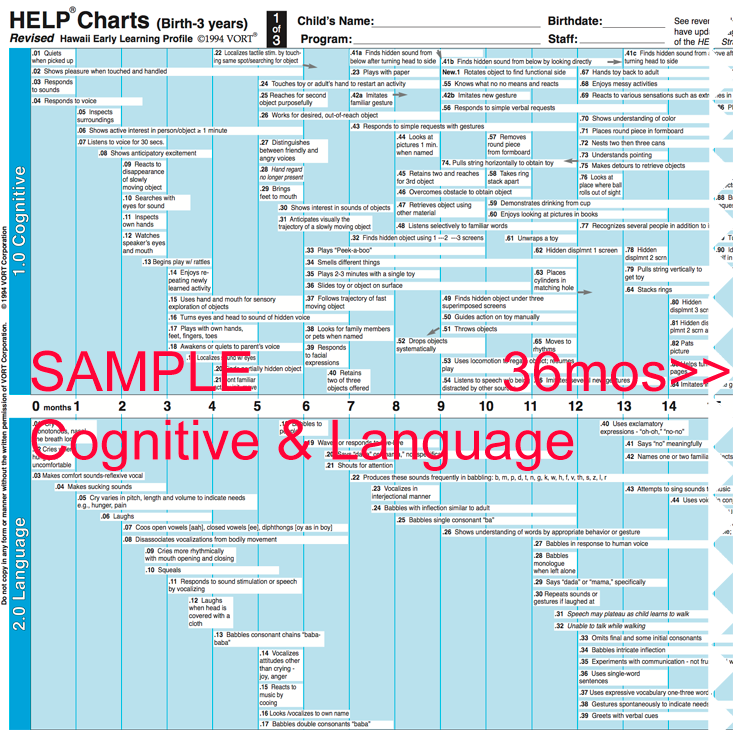 The HELP Charts 0-3 are intended to provide a "visualization" of a child's progress. For actual assessment and planning, use the HELP Strands 0-3 and Inside HELP which is necessary for proper use of HELP 0-3 as a curriculum-based assessment. The Charts provide a clear picture of a child's development and progress making it easy to show parents and staff; great for involving parents in their child’s plan. 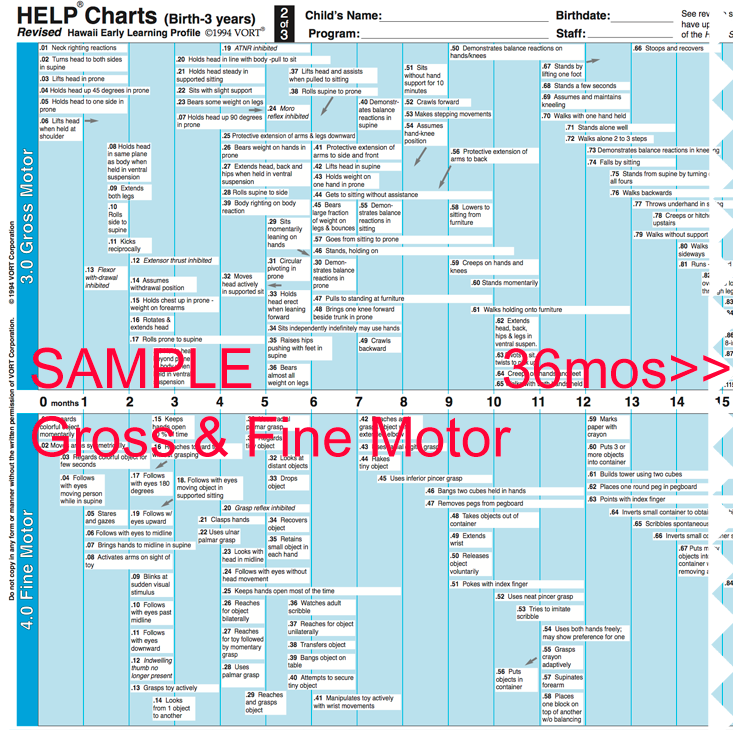 Clear format makes it easy to chart developmental progress—color in the skills on the child’s Charts to show mastery and to target new skills. As you complete your assessment, you can color in the skills on the child's Charts to show parents and staff the child's current abilities, what progress the child has made, and what target objectives are appropriate. 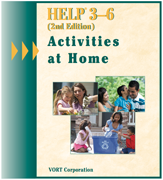 Facilitates communication and collaboration with parents and involving them in their child's plan. Parents appreciate seeing their child's developmental profile: both specific needs and skills mastered. 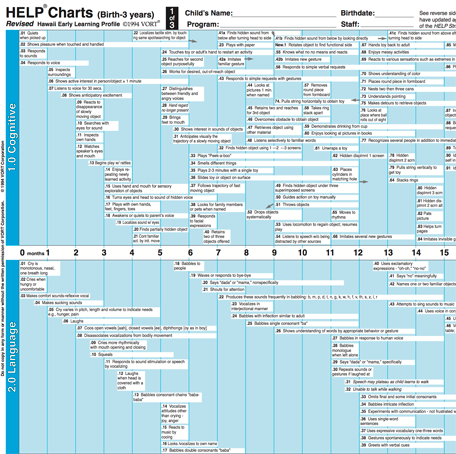 The backside of each chart includes instructions and hints for using the Charts, along with a cross-reference list to the HELP Strands 0-3. "Helps me show parents their child's progress and needs..."